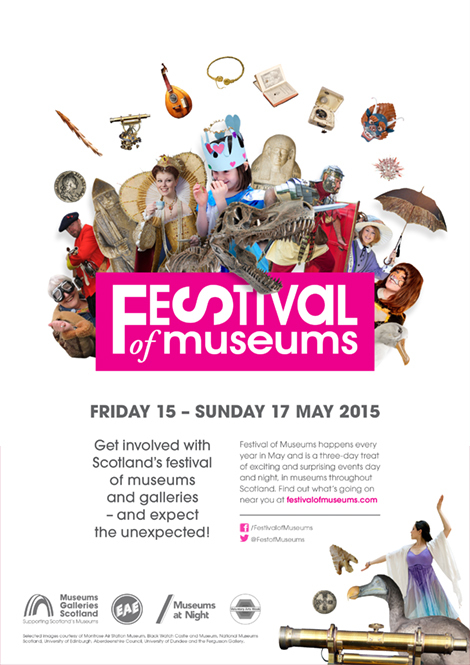 Festivals of Museums is a seven-day celebration of Scotland’s 400 museums and galleries. The annual event promotes over 110 unique events, offering something a little out of the ordinary and encouraging people who would not normally visit museums to give them a try. 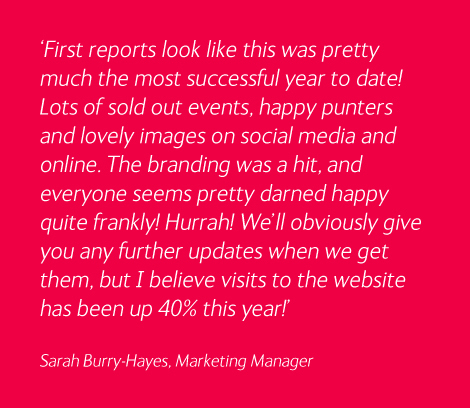 We were commissioned to design a new brand identity for the festival and deliver all of marketing collateral for the 2015 event. Our focus for the new brand was to ensure a strong family appeal and present museums as a fun, exciting and energising day out. 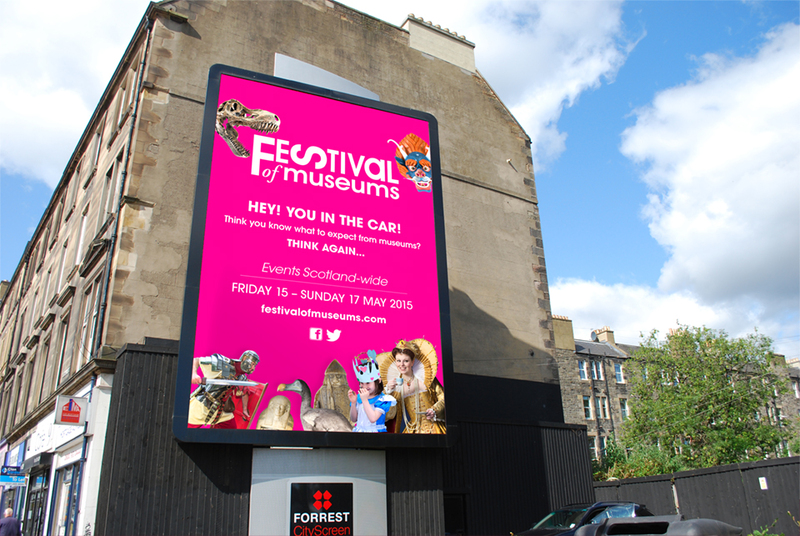 The Scottish museums sector is very diverse and our creative solution captured this perfectly through the use of a montage that brings together people, artefacts and experiences. 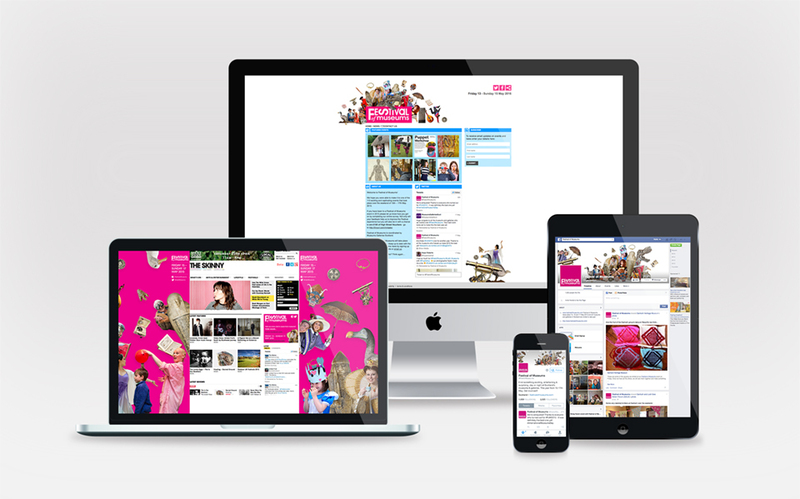 This was combined with a bright pink logo that was designed to give the campaign great energy. These two elements formed the foundation of the new brand. 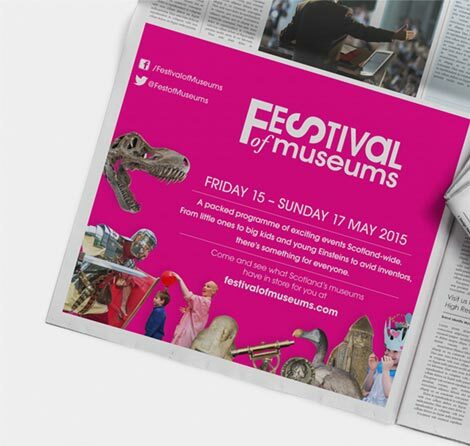 A flexible approach was then taken to the design of the festival’s marketing and promotional material. For each application the brand elements were reimaged and recombined to ensure the best design treatment for each marketing channel. This approach was carried across the entire suite of marketing material including various social media channels, a new website, online adverts, printed promotional collateral and outdoor digital display screens.